At the end of August (wow that seems so long ago), Michaels had flip-flops on sale for 70% off so I bought a few pair and figured I’d wait until inspiration hit me to do something with them. That inspiration came when I saw this video by Tanner Bell. 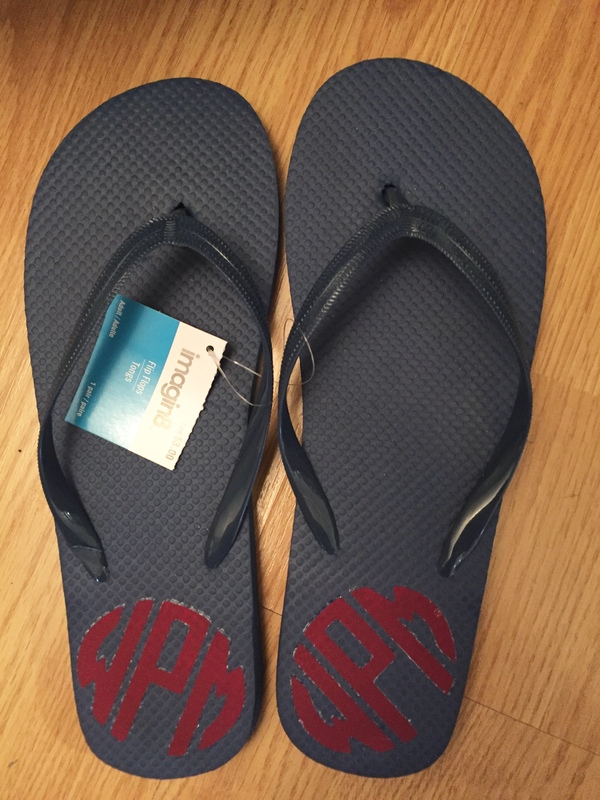 Using iron on vinyl to personalize flip-flops. 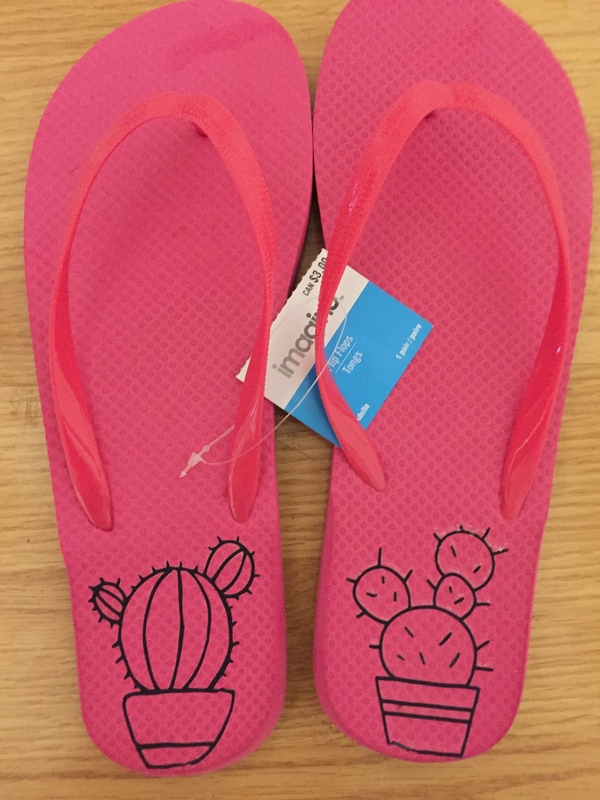 I decided to personalize a pair of flip-flops for my daughter for Christmas and since she lives in Texas, I thought cacti would be cute. Here are the two images I used from Cricut Design Space (#M877022C)(#M855825F)Since I am planning a trip to visit her soon, I decided I needed a pair too. Once I had my designs printed I used my Cricut easy press to adhere the vinyl to the flip-flops. So fast, so easy, so cute – and start to finish under 30 minutes. Here are close up pictures of the designs I used. 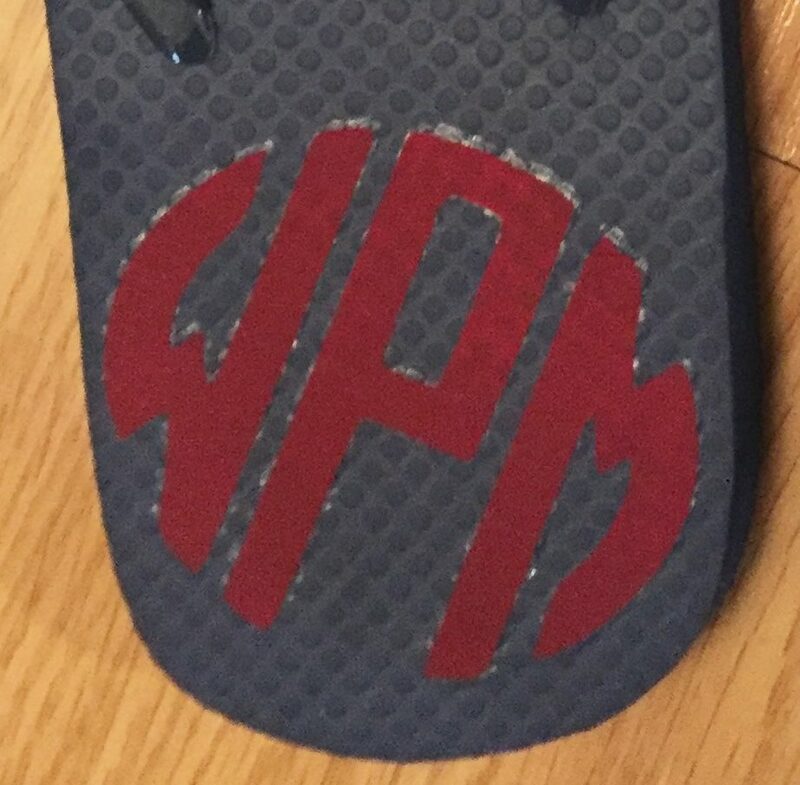 Personalized flip-flops are A Wandaful Thing! This entry was posted in 12 Days of Christmas, DIY, Make and tagged 12 Days of Christmas, cactus, Christmas, Crafts, cricut, DIY, easy, flipflops, gift, ideas, monogrammed, vinyl. Bookmark the permalink.